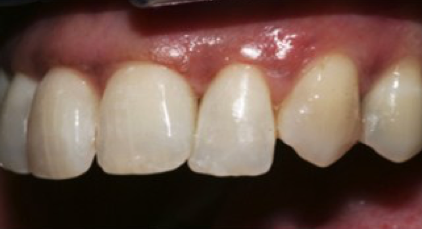 Black Triangles (otherwise known as open gingival embrasures) are spaces that are present between the teeth and the gum line. Unfortunately, they can attract unwanted attention when an individual is smiling. 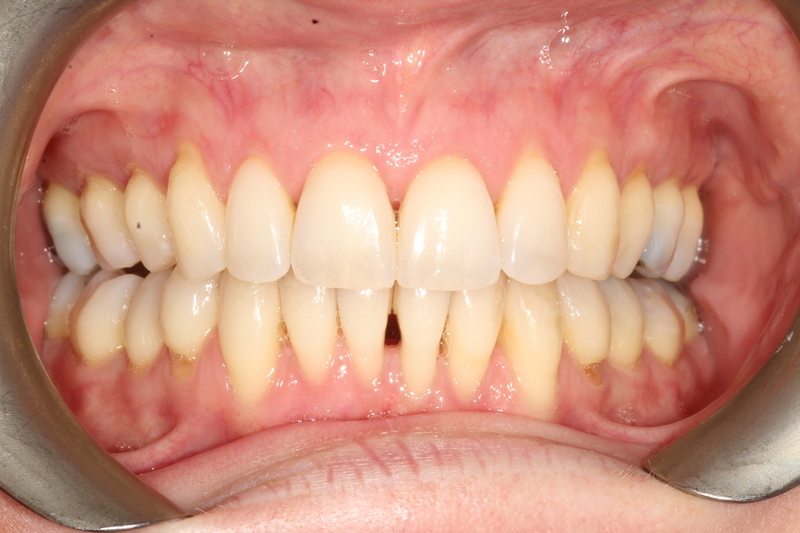 In particular, they occur as we age and they occur more frequently in those with gum/periodontal disease and smokers. Not only can they make an individual look older but they can also serve as food traps and can harvest plaque, tartar, food and stains. This can potentially lead to gum disease and tooth decay. These triangles can sometimes even effect your speech or result in some patients ‘spitting,’ when talking. 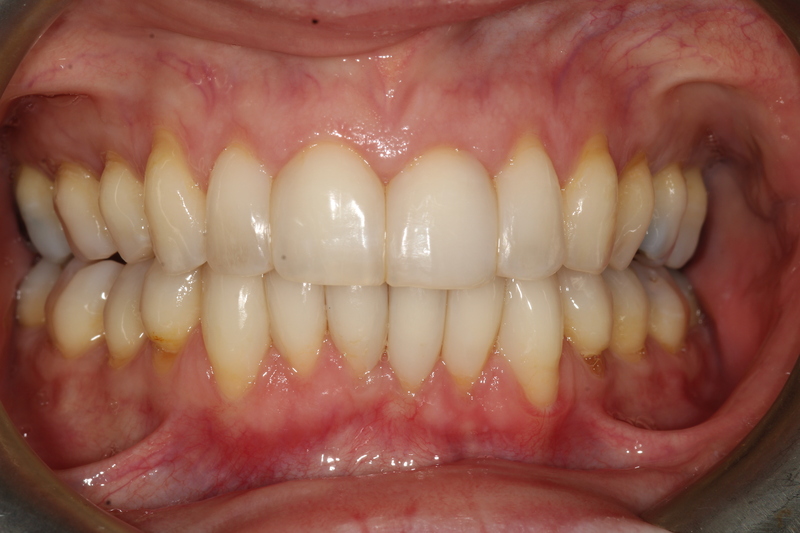 Recession of gums due to gum disease. 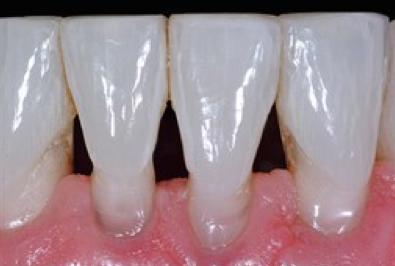 Recession of gums due to thin tissue biotype. 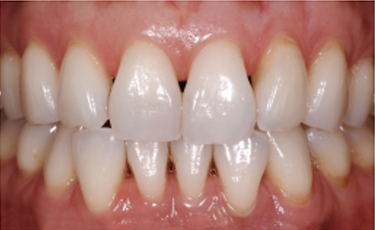 We can help reduce the chances of these triangles developing by carrying out good oral hygiene. Using a soft small brush head and gently massaging the teeth and gums is advised. Daily interdental cleaning as instructed by your dentist/ hygienist is recommended too. A regular dental check-up will allow the dentist to pick up on these triangles early on. Do nothing – If the gum disease is not active, triangles are being kept clean and they are not an aesthetic concern to the patient. 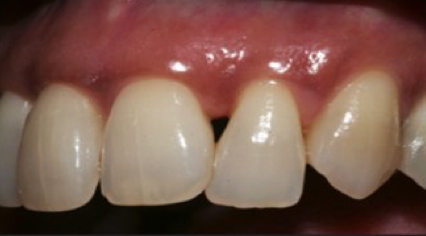 Gum Surgery – If the patient is suitable a surgical approach can be taken to restore these triangles, learn about the revolutionary pinhole technique here. 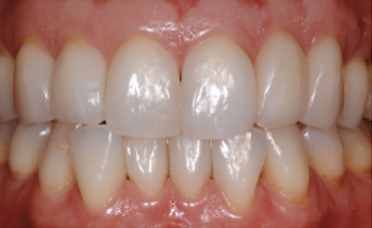 Orthodontic treatment – If suitable teeth can gently be reshaped and re aligned to eliminate/reduce black triangles. 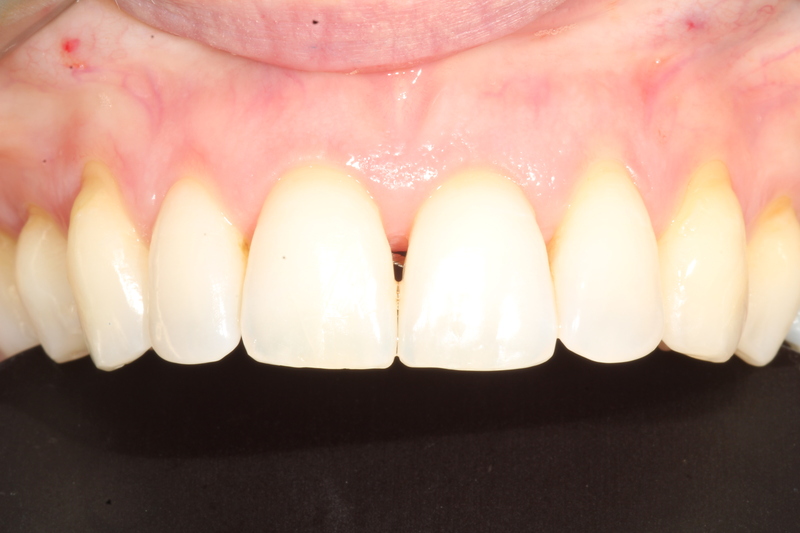 Aesthetic bonding using conventional techniques – A relatively painless procedure in which the teeth are built up by a skilled practitioner freehand to eliminate/reduce the black triangles using composite resin. 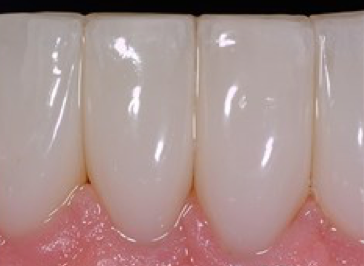 Bioclear is a special technique which uses a set of anterior matrices to mould and shape composite to close black triangles. 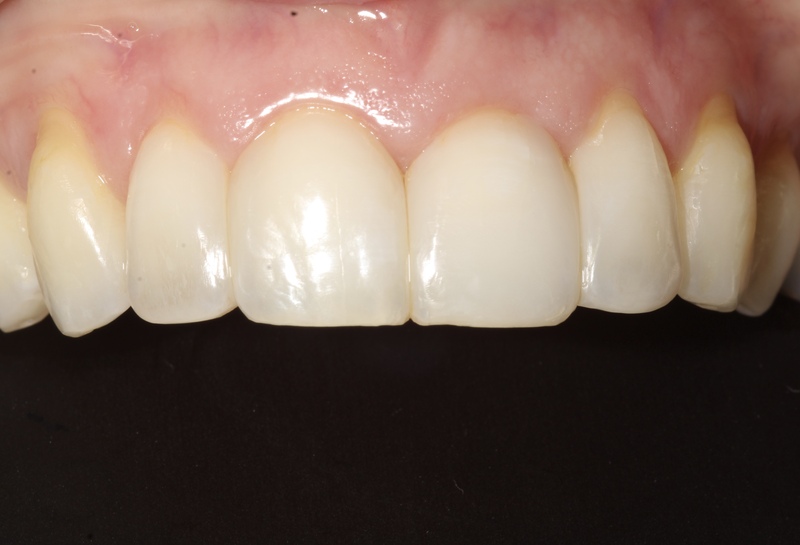 It results in smooth, well contoured restorations that are aesthetic and durable. The cost of Bioclear Matrix system is substantial for the practice as it requires a large investment in equipment and materials. 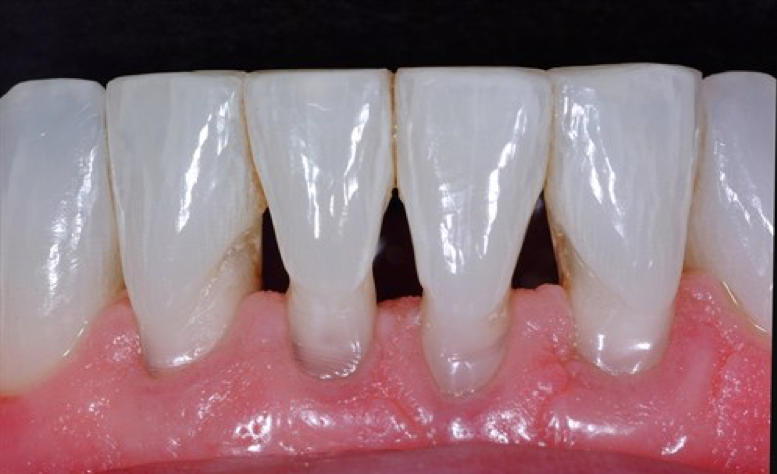 It is technique sensitive to ensure there are no overhangs (which can cause gum disease) and therefore is only carried out by certified practitioners.